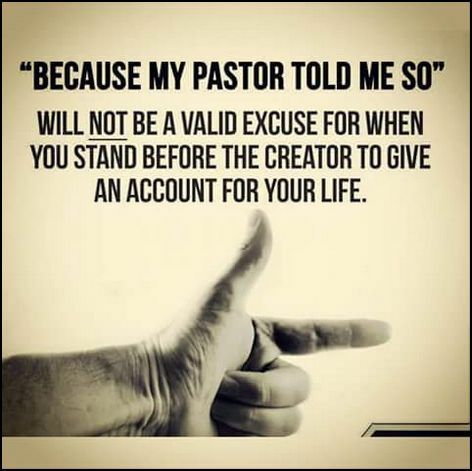 Welcome to another post in a new Category of posts that I have entitled, ‘False Teacher Friday – Learning The Importance of Being a Berean.’ Lord willing, once every month or so, I will be presenting you with information that you need to be aware of concerning certain popular Christian teachers or pastors, and information concerning some teachers or pastors that are not so well known. Their teachings will be misleading at the least, and heretical at the worst. If embraced, some of these teachings will lead you to a wrong understanding of Scripture, and others will lead you away from Biblical truth and the true Jesus Christ and into the world of mysticism and the occult. Some of the teachers that I will be writing about will not be completely false, which is why their false teachings often go unnoticed, and this is what makes them so extremely dangerous. Their teachings can be over 97% Biblical truth, but if just that little bit of error is overlooked because we are not testing what they say in light of Scripture as God’s Word shows us we need to be doing (Acts 17:11), then slowly we will be led astray because we have placed our trust in man, instead of in God and the truth of His Word. One day we will all stand before God, and each of us will be responsible for what we choose to believe as truth. If we clearly refuse to test the teachings of those we listen to in light of Scripture and ignore the many warnings that God has given us about false teachers and how some of them would arise from among us and we end up being led astray, then we have no one to blame but ourselves. 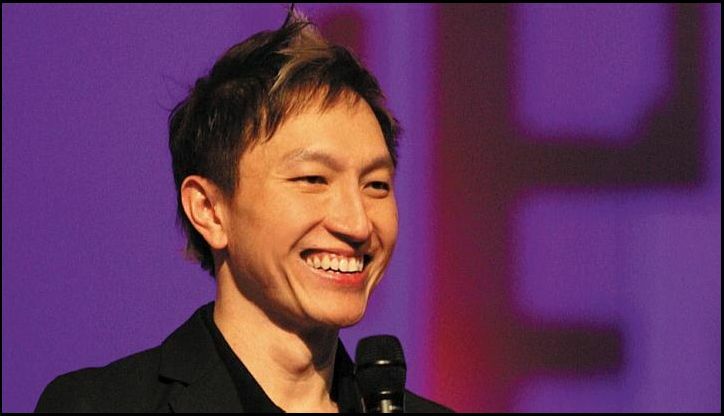 Kong Hee is the founder and senior pastor of City Harvest Church that is located in Singapore. I had never heard of Kong Hee until the end of 2012 when I heard his message that I posted for you below which is entitled, ‘WAS JESUS POOR.’ Unfortunately the full version of that message was removed shortly after I heard it, but the videos that I posted for you below captures the majority of it. When I heard his message I was deeply troubled by the way he distorted Scripture to try and teach that Jesus was rich. But that pales in comparison to his completely blasphemous interpretation of a certain passage of Scripture concerning Jesus which I will share with you shortly. Many of you will recognize from these statements that Kong Hee is one among many Word of Faith preachers and teachers such as Kenneth Copeland, Gloria Copeland, Benny Hinn, T.D. Jakes, Joyce Meyer, etc. For those of you who may not be aware of what these Word of Faith teachings are, they believe that faith is a force, and your words are the containers for this force. They teach that you can create your own reality by speaking it into existence. They believe that God wants all believers to be healthy and wealthy, and if you’re not, then there must be some unconfessed sin in your life, or you just don’t have enough faith. But that’s only the beginning of their false teachings. They also teach that Jesus went to hell and was tormented by the demons and that He died spiritually and was the first born-again man. Many of their teachings limit the power of God and give man the authority to command God to do what he desires to be done. As you will soon see, their teachings go so far as to demote God to a position where He can do nothing without man’s help, and they deify man to be as God. Although Kong Hee only focuses on three verses of Deuteronomy Chapter 28 in his message, (which I highlighted for you) I posted the entire chapter for you because it’s very important for us to look at verses in their proper context to see if the verses really say what pastors and teachers claim that they say. Below you will also find a few of the other Scriptures that he used in his message, and I highlighted those verses that he mainly focused on, as well. Please pray for discernment, and after you carefully read these verses in context, play Kong Hee’s message to see if what he says completely lines up with the truth presented in God’s Word. 2 “Why do thy disciples transgress the tradition of the elders? For they wash not their hands when they eat bread. 2And all these blessings shall come on thee, and overtake thee, if thou shalt hearken unto the voice of the LORD thy God. 3Blessed shalt thou be in the city, and blessed shalt thou be in the field. 4Blessed shall be the fruit of thy body, and the fruit of thy ground, and the fruit of thy cattle, the increase of thy kine, and the flocks of thy sheep. 5Blessed shall be thy basket and thy store. 6Blessed shalt thou be when thou comest in, and blessed shalt thou be when thou goest out. 7The LORD shall cause thine enemies that rise up against thee to be smitten before thy face: they shall come out against thee one way, and flee before thee seven ways. 8The LORD shall command the blessing upon thee in thy storehouses, and in all that thou settest thine hand unto; and he shall bless thee in the land which the LORD thy God giveth thee. 9The LORD shall establish thee an holy people unto Himself, as he hath sworn unto thee, if thou shalt keep the commandments of the LORD thy God, and walk in His ways. 10And all people of the earth shall see that thou art called by the name of the LORD; and they shall be afraid of thee. God’s Word is filled with warnings about false teachers, and we must test the words of every teacher in light of Scripture, no matter how many years they have been in ministry, or how large and successful their church appears to be. Know God’s Word well, and trust in Him alone; do not place your trust in any man (or woman) and their ministry. Here’s some extremely important information by Sarah Leslie from the Herescope blog that you definitely need to be aware of whether your church presently has “cell groups,“ or may possibly be forming them in the near future. When time allows, I urge you to read >THIS ARTICLE< entitled, THE CELL CHURCH. Please be sure to listen to Part 1 and 2 of Sarah Leslie’s very well researched presentation as she lays out a frightening scenario of what could happen, and what may be the ultimate reason behind these cell groups being formed. (Hint: Unity = 1 world religion). 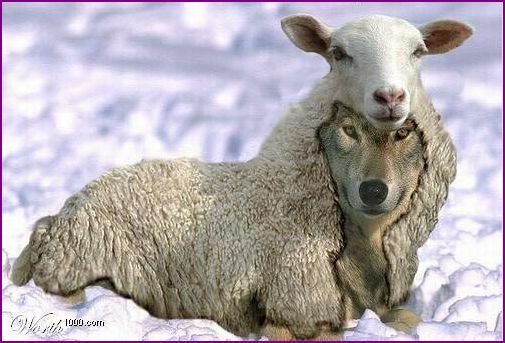 If you are among the many voices trying to warn other Christians of false teachers and false teachings and are labeled ‘divisive’ among other things, here’s a very good article by Warren B. Smith entitled >DISCERNMENT DETRACTORS: CALLING GOOD EVIL< posted at Lighthouse Trails. (Lord willing, I’ll be doing book reviews on some of his excellent books later on this year for those of you who have requested to see book reviews on this blog). 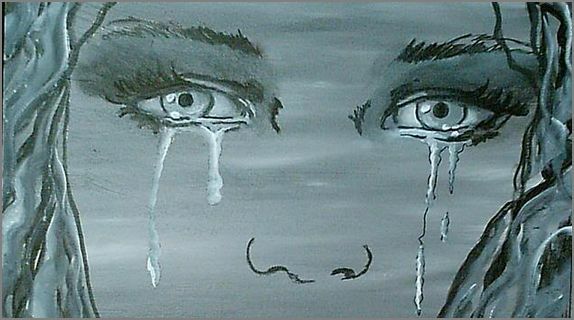 Here’s a good article to read by Ray Yungen that will reveal to you just how New Age Spirituality is merging with Christianity and deceiving many: >CONTEMPLATIVE PRAYER OR THE HOLY SPIRIT- POSTED AT LIGHTHOUSE TRAILS< Would you be able to tell the difference? It’s happening in many churches through Spiritual Formation classes and in other ways at many churches, as well. (Lord willing, I will be writing on this very important topic in the near future, and will also be doing a review on one of Ray Yungen’s books later on this year). And speaking of Contemplative Prayer, here’s a very good article by Roger Oakland of UNDERSTAND THE TIMES, entitled, >SEEKER FRIENDLY TO CONTEMPLATIVE SPIRITUALITY< (Lord willing, I will also be doing a review on one of his many very good books that he writes in which he exposes the Emerging/Emergent Church, as well as the Eucharistic Christ, of Catholicism, later on this year). Read the following article and you will begin to realize why many Christians are warning about the dangers of Contemplative Prayer: New Age mystic Thomas Keating, who is considered to be the father of centering/contemplative prayer, claims that >KUNDALINI ENERGY (SERPENT POWER) IS THE SAME AS CONTEMPLATIVE PRAYER< Is that a good enough reason for you to beware of Contemplative Prayer? As I watched the following very disturbing video, two Scriptures came to mind when I saw the hardness of this woman’s heart that was made obvious because she could enjoy eating a meal while talking about such evil and horrible things such as selling baby body parts after partial birth abortions! Please pray for God to open the eyes of this woman, and the eyes of many others involved in the abortion industry, that they will be able to clearly see the evil and brutality of abortion, and that God will draw them to Himself and grant them repentance, and save them by His grace alone, through faith alone, in Jesus Christ alone. What could bring more glory to God than to post information with solid evidence for the resurrection of Jesus Christ! In the following videos, as well as the article below, you will learn about Simon Greenleaf. He was a Royal Professor of Law at Harvard and was not a Christian. 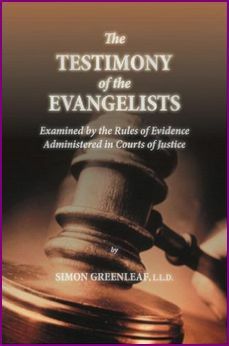 When challenged to examine the evidence concerning the resurrection of Jesus Christ by looking at Scripture, he simply shared the most basic facts, and yet he gave extremely compelling testimony by presenting legal evidence for the resurrection of Jesus Christ. He was Jewish, but after careful examination of the Scriptures he also became a believer in Jesus Christ. For anyone interested in purchasing this book, you can purchase it >HERE< on AMAZON. Lord willing, another new post concerning spiritual deception, mysticism, and the lack of spiritual discernment coming soon!